NYC, 11/09/2018, 7:00PM. 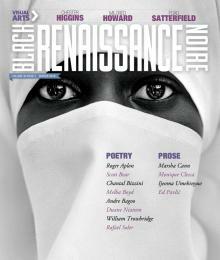 Black Renaissance/Renaissance Noire: Fall Launch. Black Renaissance/Renaissance Noire, publishes essays, poetry, fiction, photography, art, and reviews that address the full range of contemporary black concerns. It invites black genius to apply itself to the realities of the twenty-first century with uncompromised thought, generous and readable analysis, and commentary. A reception and readings from contributors of the fall issue.